Did you notice in “The Birds and Bees” when Jamie was showing Bree the view from the Ridge, and Bree mentions Daniel Boone? Very likely, she was familiar with the television show that aired in the 60’s, if not from history class in school. Boone was a trapper, hunter, frontiersman, landowner, politician, and in spite of his Quaker birth and upbringing, owned slaves. He is credited with “discovering” the state of Kentucky. He was born in Pennsylvania in 1734, but his family moved to North Carolina around 1750, settling on the Yadkin River in what is now Wilkes County. Boone was not afraid to defend the white settlements from the Native Americans, and at 16, joined a militia for that reason. 1755 brought the French and Indian War to his region, and he served as a wagoner, and when that was done, he married. He built two cabins, one near the Yadkin, and one on Beaver Creek, and settled down. Eight children later, he and his wife Rebecca moved to Kentucky, and in 1755, he helped arrange a treaty between the Transylvania Company and the Cherokee, who sold the majority of what is now Tennessee and Kentucky to a Richard Henderson, owner of the Transylvania Company. Boone and other settlers built and lived at a settlement called Boonesboro. The land is now a state park in Kentucky, complete with camping sites and a living history museum. Boone never returned to North Carolina, and, after losing his land in spite of being a Kentucky representative in the Virginia General Assembly, moved his family to what is now Missouri, where he was given land by the US Government in exchange for clearing the land. Upon his death in 1820, he still owned 850 acres of the homestead. Much of what was written in the early history books and biographies about Daniel Boone are stuff of legend, and mostly untrue. One author interviewed Boone, but elaborated a great deal in his book, and other biographies were written about him, mainly to encourage people to settle in Kentucky. One story goes that he dictated his life story to his grandson, but the papers were eventually lost when a canoe he was traveling in tipped over, and the “manuscript” was lost in the water. He was somewhat famous, however, and he didn’t like it much, stating, “Nothing embitters my old age [more than] the circulation of absurd stories … many heroic actions and chivalrous adventures are related of me which exist only in the regions of fancy. With me the world has taken great liberties, and yet I have been but a common man.” Wonder what he’d have thought of the television series?! According to findagrave.com, “Seven counties, a national forest, and numerous towns and schools across the United States are named for him.” The lovely mountain town of Boone, North Carolina is one of those namesakes. Those of us at the recent Fraser’s Ridge Homecoming got to visit Whippoorwill Academy, where there is a replica of the cabin Daniel and Rebecca lived in and raised their family. The rocks that form the chimney are from the original cabin. Appropriately, in Boone, NC, you’ll find the Hickory Ridge Living History Museum, and during the Summer months, they produce the long-running outdoor drama, Horn in the West, portraying the life of Boone and other settlers in the region before and during the Revolutionary War. Oh, and, according to his son Nathaniel, Daniel Boone never wore a coonskin hat. Remember this song from the sixties – What The World Needs Now Is Love, Sweet Love? Yes, I know I’ve just seriously dated myself and some of you youngins (that’s what we North Carolinians call a young person) have probably never heard of this particular song. If you haven’t, the song is really good and has a great message and you should listen to it. Ahem…rambling. Where was I? Oh yes. On a very serious note, it’s been a rough few days for the Outlander community. Things have gotten pretty nasty in some arenas. I’m not here to discuss any of that. I’m also not going to critique the last two episodes (A. Malcolm & Crème De Menthe) which have caused so much controversy in our fandom. Nope, the purpose of this post is to bring a little lightheartedness to all of you Outlander fans – book readers and non-book readers, show watchers and non-show watchers. I think we all need a little laughter as well as a good dose of love. Don’t you? Hoping that you would say yes to that question, I went ahead and picked out a few humorous quotes from Outlander, Book 1, to share with you. I narrowed it down to 10 which was really hard. Diana’s characters make me laugh – well, some of them anyway since there are those we shall not speak of. (In honor of Halloween, I watched M. Night Shyamalan’s “The Village” and that line just kind of stuck with me. Sorry, I digress again.) I hope these quotes brighten your day as they did mine. While looking these up, I was also reminded of why I fell in love with Outlander to begin with – the books and the show. I hope they do the same for you! Love, hugs and laughter, Outlander family!!! Do you have a favorite humorous quote from the book or the show? Share it in the comments! As always, thanks for reading Outlander North Carolina where suffering from obsession to Outlander is a daily thing. By the way, if you haven’t joined the Outlander North Carolina Facebook group, you’re missing out! Being a resident of North Carolina is not a requirement and we’d love to have you around! 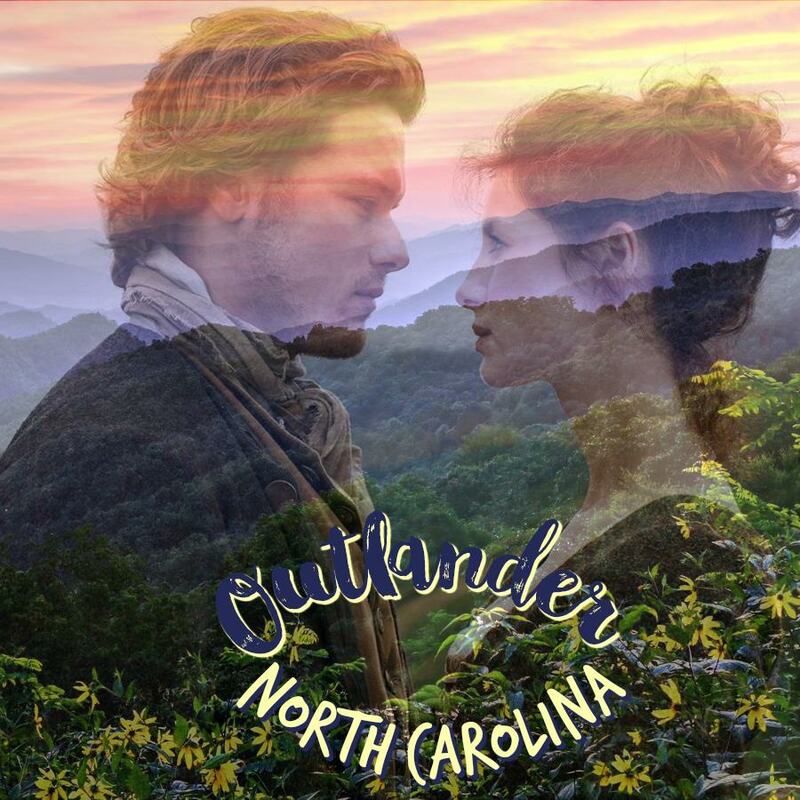 Click here to join: Outlander North Carolina Facebook Group.